24 North Hotel is so named because of its location 24 degrees north of the equator. 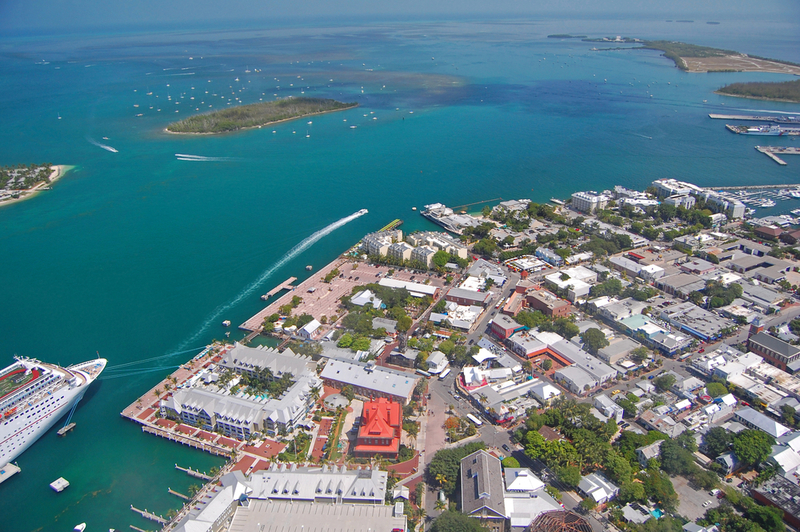 So, we thought it fitting to count 24 things you can’t miss during your vacation in Key West. Here’s the first part of our two-part series. In case you didn’t know, sunsets in Key West are something to celebrate. Visit Mallory Square around sunset to see street performers and activity before watching the sun sink into the horizon. The butterfly conservatory is a favorite on the island for its majestic butterfly habitat, just steps away from Duval Street. Take some quiet time to see blue morphos butterflies in all their glory and visit two talkative flamingos that reside in the conservatory. A Key West mainstay and the original site of Sloppy Joe’s, no trip to Key West is complete without a drink next to the bar’s hanging tree. Drink with the locals at the island’s treasured dive bar. Key West has a colorful history that’s highlighted by different ghost tour companies around the island. See your options and get a glimpse of the spooky side of Key West with a Old Town ghost tour. There’s nothing more Key West than an order of fried conch fritters from The Conch Shack on the 100 blog of Duval Street. Order with key lime dipping sauce for a taste of the island. Location here. Snap a photo at the southernmost point in the US, market by a buoy that has withstood its fair share of hurricanes. The Southernmost Point Buoy is located just 90 miles north of Cuba near the pier. See map. Interested in scoping out marine life? Key West provides. Explore the waters of Fort Zachary, the coral reef, and Dry Tortugas, to name a few. Take a look at the best snorkeling spots with our snorkeling guide. Key West has a vibrant drag queen scene with bars like 801 Bourbon and the girls at Aqua turning out shows and looks nightly. Read our Key West drag scene guide to learn more. Smathers Beach is just three miles from 24 North and offers a sandy shoreline, unlike other beaches in Key West. Grab a spot under a palm tree or rent a jet ski at the beach. More info on Smathers here. Whether you want a sport fishing trip, a leisurely dolphin-watch or snorkel outing, the boat charter options in Key West are endless. Read more using our boat charter guide. The friendly cats that reside at The Ernest Hemingway Home & Museum go back generations. Today, 40-50 polydactyl kitties roam the grounds. Visit the late author’s home and the lineage of cats he left behind. Read more about Hemingway’s 6-toed cats. Stone crab is best served cold with a side of mustard. Sound strange? It’s not called Key Weird without reason. Stone crab is delicious when it’s properly prepared, so check out different spots around the island to get a taste of the local crustacean.